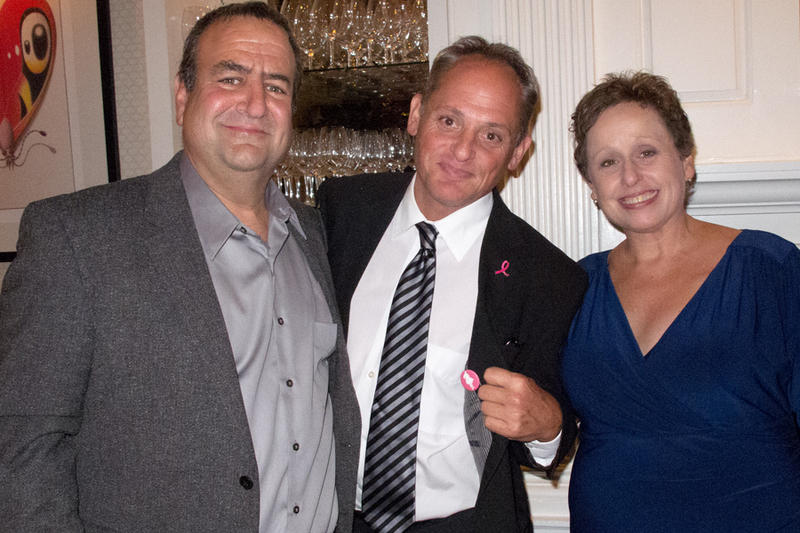 It was an honor to be invited back to Bloomingdale’s #GivePink dinner. It’s truly overwhelming to be surrounded by a group of people that are so dedicated to raising funds for breast cancer research. The Bloomingdale’s #GivePink campaign has raised millions for cancer research over the years. Our team was so excited that on the way home we were arguing about “who had the best night”. 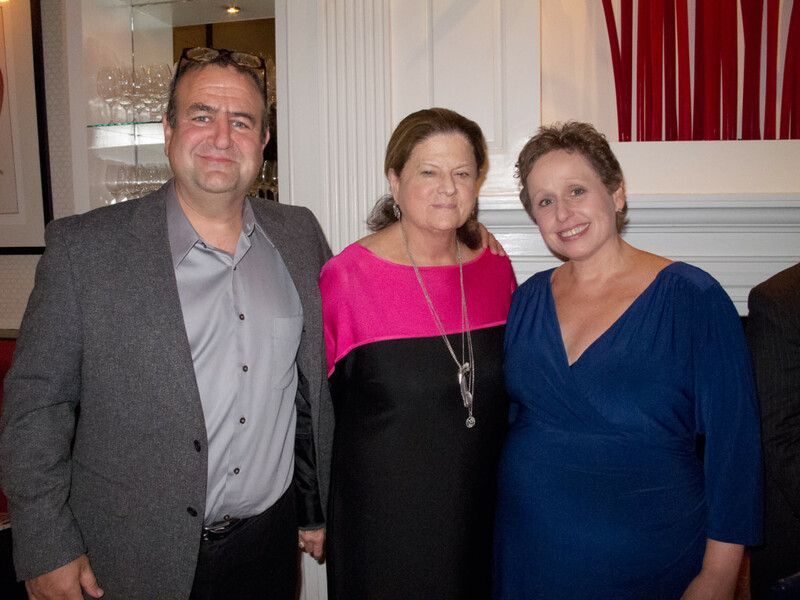 Linda argued that talking to Dr. Norton absolutely made her night – after all, he has dedicated his life to the eradication of cancer. Dr. Larry Norton is Medical Director of the Evelyn H. Lauder Breast Center at Memorial Sloan-Kettering Cancer Center. He told us some great stories and admitted that after seeing Bob in that tutu, he might have dreams (or nightmares!) of getting caught in a tutu in public! We had a great laugh with him. 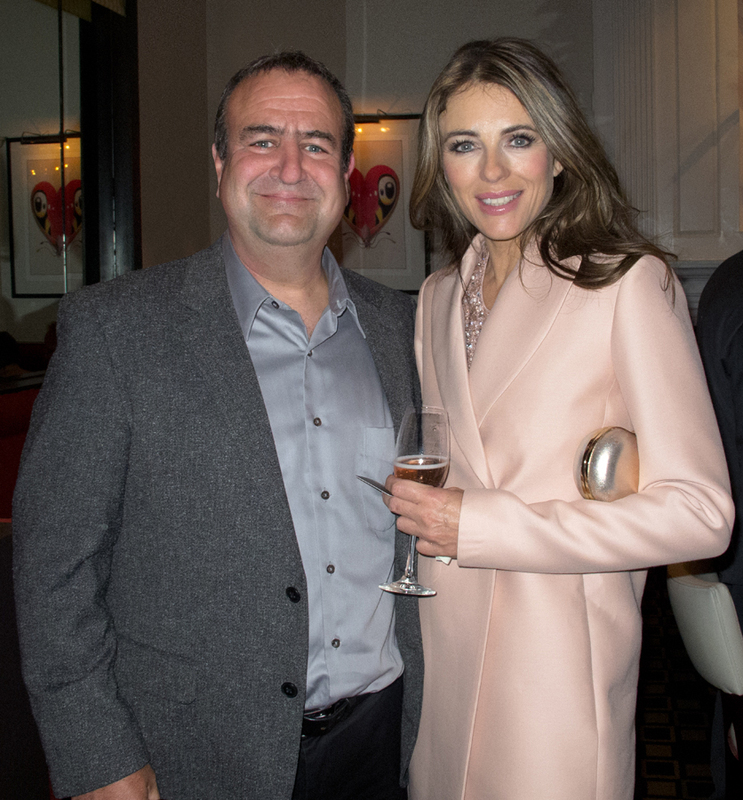 I don’t think we have to explain why Bob argued he had the best time… the beautiful Elizabeth Hurley complimented him on his photographs and posed with Bob for this amazing picture. The talented cartoonist and breast cancer survivor, Marisa Acocella Marchetto, also shouted out to Bob on her way out… “can’t wait to hit the road with you guys!” Bob won’t deny that he absolutely loves the attention of these amazing women! And me? 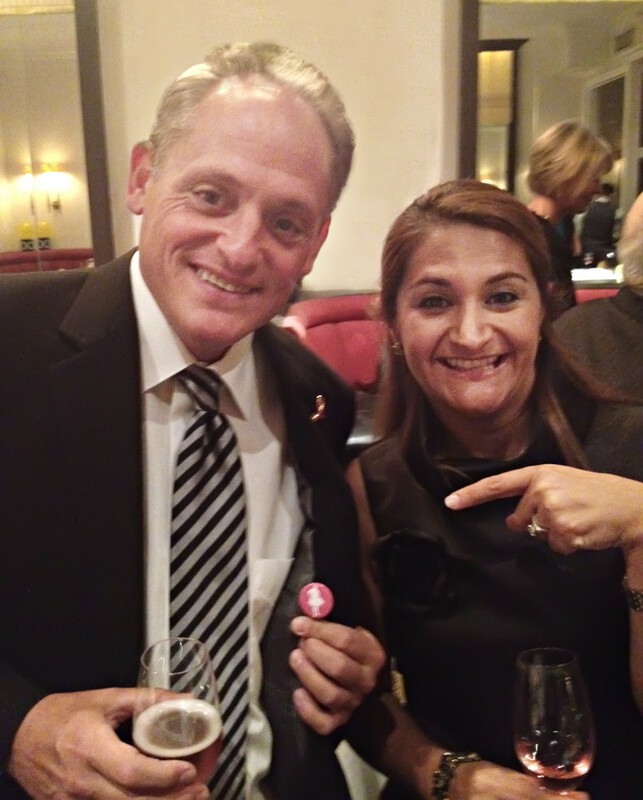 I keep it simple… I almost lost it when the very stylish David Enger was showing off The Tutu Project pin! So really, there was no way any of us were going to win this argument. Thank you a million times over again to Anne Keating, senior vice president of public relations and corporate philanthropy, who took an interest in our story and brought our project into this amazing organization. Bob! You look naked without your pink! She’s gorgeous. Is that Elizabeth Hurley? But she’s got nothing on you! @Toni Lynn Campbell Bercha It is indeed! Aw…What a great photo! All that hard work paid off! Elizabeth Hurley is a timeless beauty. Does anyone recognize you without the tutu? See, my first thought was, ‘Hey, Elizabeth Hurley got to meet Tutu Guy!’ That’s my second thought, too. Well, Bob always has fun!! I liked the mystery of just seeing you from afar in that beautiful tutu. Almost like an angel. Mysterious and inspiring. Awwwwww… U shoulda worn the tutu! Great picture.. Is that the tutu man. I love that man. Never met him, probably never will, but I love him. Bravo sir. bravo! That man is so awesome! Since 30% of all breast cancer patients develop MBC — a fatal condition, then 30% of breast cancer research funds and 30% of breast cancer support activities should be dedicated to Metastatic Breast Cancer. At present, only 2% of breast cancer research funds go toward MBC research and support for the disease is rare. I didn’t know you without your Tutu!!! You handsome dear!! The tutu man! So handsome!!!! Tutu man, we’re all so grateful to you! Looking forward to finally meeting you on Friday at Flames of Hope. I own book # 192/500. You’re going to LOVE this experience—-make sure you have lots of Kleenex, it’s a VERY EMOTIONAL weekend. Amazing. Elizabeth looks stunning in that pale pink coat. Jelly of u Bob! Linda, you are radiant, that is your color, lady! Love the tutu project! Awesome! The tutu project is amazing! Love them! I love the Tutu Project. It’s awesome! What a guy to do this for his wife. Another every day hero. Didn’t recognize him with his clothes on…. me encanta todo, la idea, las fotos y la finalidad. Next year.. the Zombie Bash! I hope you will do it for us and for the eradication of breast cancer!! !